On 19 November, The TRADE will recognise trading's young, upcoming talent. Each day this week we'll be revealing our 40 under 40 group of Rising Stars. Over the summer, The TRADE has been gathering nominations to compile a list of the 40 individuals under the age of 40 that are most likely to enjoy notable career advancement in the coming years. The list of 40 was drawn up following extensive market research with industry leaders on the sell-side and buy-side and verified with interviews with employers and individuals to evaluate their credentials. To qualify for consideration, individuals had to be aged under 40 years of age as at 31 December 2015 and be working in a trading function at an asset manager, wealth manager, stockbroker, technology group, or life company. Consideration was given to each individual’s day-to-day role in the business, career progression to date and involvement in industry initiatives. Further credit was awarded for commendable extra-curricular activities such as examples of volunteer or mentoring work or for academic success in a professional examination scheme. All those who made the list must be based in Europe, although they can trade assets globally. After a lengthy judging process, our panel considered the following 40 people to be worthy of recognition. Quantitative Brokers (QB) decided to bring its buy-side algorithmic broking business for rates futures products to London in January 2014, appointing Jonty Field to head up its office. Field’s experience in systematic trading, algorithmic execution and trading analytics made him the perfect fit for the broker looking to expand its business in the futures markets to Europe. His clients in London now consist of asset managers, hedge funds and commodity trading advisors active in the derivatives market. Field is charged with building the business outside of the US and meeting the demands of Europe’s buy-side interest in best execution for interest rates. As head of EMEA, Field has ambitions to keep expanding the business. “The future for QB is exciting as we expand on our product coverage (options on futures) and also expanding our coverage to Asian markets,” said Field. Field spent 10 years at AHL prior to joining QB, beginning his career as a quantitative research analyst after completing an MSc in Statistics at the London School of Economics. Field said that his research interests then moved into market microstructure and minimising transaction costs and worked closely with the trading team to build AHL’s electronic trading platform VTrader. “It was in this new role as an e-trading specialist that I began to develop algorithms to improve execution on a range of asset classes before founding the Trading Analytics team to analyse, monitor and optimally balance human, internal and external algorithmic execution flow,” Field adds. Geneva-based Alex Neil is one of the most widely-recognised figures on this year’s rising stars list, according to a recent poll by Extel. A finance graduate with French, Neil has worked in Paris, London and now Geneva. Neil – who is still in his early thirties – sits on a committee of Geneva-based heads of equity trading which is supervised by a local body of private banks. He also has a significant media profile, writing regularly for digital and trade press. He has been working with EFG’s support teams on improving order functionality and performance over the past 18 months. Part of this has included introducing algos to some users who previously would not have felt comfortable talking to their end clients about execution benchmarks. Neil says this has enabled his team to spend more time on what he calls ‘value added services’. 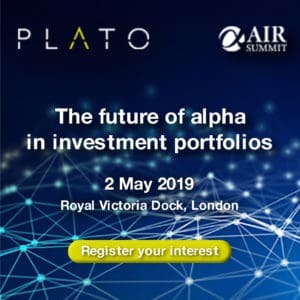 He believes that the buy-side can move to more ‘cost-effective’ methods of trading and hopes that his intelligent approach to trading can be spread to other asset classes. When asked what he would like to see more of in the industry, he said cheap and consistent post-trade data to judge execution quality. He would also like to see clearer regulation of trading by asset class. Deutsche Asset & Wealth Management is represented in this year’s list by Vincenzo Vedda, the company’s managing director and deputy global head of equity trading. Frankfurt-based Vedda joined the business in September 2013 from Morgan Stanley where he was a senior member of the Global Program Trading Group. At Deutsche, Vedda reports to global head of equity trading Mike Bellaro and has responsibility for Deutsche AWM’s global program trading operation. He also assists Bellaro in managing global equity trading. Vedda has been credited with building out Deutsche AWM’s New York trading operation and building the ETP Capital Markets team in London and is considered a thought leader by many of his industry peers. Over the course of the past 18 months Vedda has assisted with the development of the ETF platform within the asset management trading operation from the investment bank. He has also worked on the build out of the global program trading platform, which has been key to the firm improving post-trade performance. In fact, program trading now represents some 40% of the Deutsche AWM book of business. Vedda has been a key player in ensuring colleagues understand the importance of strategic liquidity and in ensuring the trading desk is able to execute more block trades in the first half of 2015 than in the past five years combined. As Liontrust’s assets under management have grown, so too have the responsibilities of the investment group’s dealing team. Engineering and Commerce graduate Tonge is now a relatively long-standing member of the firm, having joined the business back in 2003. Prior to that, he worked at Barclays Capital as a transaction manager responsible for a variety of complex settlement calculations and legal documents. Today, he looks after the Liontrust dealing desk, which serves six of the group’s seven fund management teams and some £4.5 billion in assets. Tonge’s role has become increasingly important during the past year after company founder and long-standing colleague Richard Farquar announced plans for a sabbatical to complete a substantial charity project. As a result, Tonge has become responsible for major projects such as the company’s Order Management System (OMS) review and has also bolstered his team with two new recruits. Next on his radar is a project analysing how best the company should respond to the demands of MIFID II, looking particularly at the impact the regulation will have on commissions. 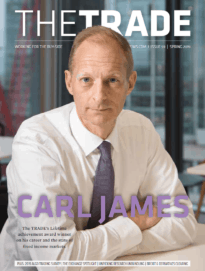 Tonge is a previous winner of The TRADE’s Leaders In Trading Awards, having collected the Midcap Trader of The Year gong at last year’s event. Angela McLean joined Nikko Asset Management in October 2014 from Ignis Asset Management. Nikko is one of Japan’s fastest growing asset management groups and has recently been recruiting for its London office which opened back in 1987. McLean took the decision to move down from Scotland last year to take up her new role. She is a product of the respected academy of dealers who started their careers at Ignis Asset Management, originally mentored by Betsy Anderson. Between 2000 and 2005, she was a support analyst at Ignis, joining the dealing desk proper in the August of 2005, trading global long short equities and derivatives. McLean has broader appeal outside of trading, however, having previously held a variety of roles outside of the dealing desk during her 20-year long career to date. Her experience in treasury and investor services complements her trading expertise and is sure to add firepower to her employability as her career progresses in the years ahead.